Land crew requested by our sister station at Tewksbury to assist them in a missing person (Misper) search in Gloucestershire. Misper located safe and well, Wyre Forest crew stood down at 9:28pm. SRT crew requested to assist our sister stations Beachley and Newport for an SRT call out. Wyre Forest crew stood down at 7:08pm, no longer required. 4x4 crews requested to support WMAS during adverse weather conditions. Crew stood down at 1:15pm as road conditions improved. Day 1 of Snow cover to support West Midlands Ambulance Service. 4x4 crews requested to support WMAS during adverse weather conditions. Wyre Forest crew responded a stranded ambulance, unconscious person near Cookley and to a CAT 3 999 call in Bromyard. Crew stood down at 10:00pm. Continued River Search near Worcester to support West Mercia Police. Boat crews tasked to continue search for Misper in River Teme. Nothing found and crew were stood down at 6:00pm. River Search near Worcester to support West Mercia Police. 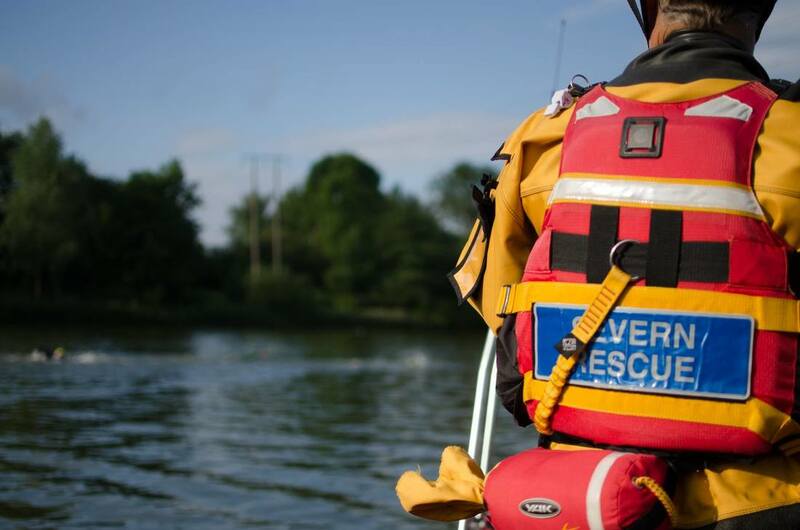 Boat crews tasked to search for Misper in River Teme. Nothing found and crew were stood down at 12:20am (21st Nov). Land crew requested for a missing person (Misper) search in the Sandwell area of the Black Country. Wyre Forest crew stood down at 1:50am. Land crew from Wyre Forest arrived on scene, fortunatly the missing person was located safe and well as search teams were about to be deployed. Wyre Forest crew stood down at 1:50am. Land crew from Wyre Forest had just arrived for a training session with the Midland Air Ambulance at Stensham Service when they were rapidly deployed to a search in Birmingham. Search was completed and Wyre Forest crew stood down at 4:20pm. Boat crew from Wyre Forest were supported by Tewksbury Station for a search along the River Severn with Hereford & Worcester Fire and Rescue Service. Search was completed and Wyre Forest crew stood down at 4:45pm. Land crew from Wyre Forest were on scene for the third day of the missing person search, working along side WMSAR. Wyre Forest crew stood down by police at 6:30pm. Land crew from Wyre Forest were back on scene for the second day of the missing person search, working along side WMSAR. Wyre Forest crew stood down by police at 4:30pm. Land crew from Wyre Forest were called to Stourton, near Stourbridge for a high risk missing person search, working along side WMSAR and Staffordshire SAR. Wyre Forest crew stood down by police at 6:00pm. SRT crew from Wyre Forest were called to assist an insurance company recover a vehicle from the river. Wyre Forest crew stood down at 6:00pm. Missing person found safe and well. Wyre Forest crew stood down at midnight. Land crew from Wyre Forest were called to Sheldon for a high risk missing person search, working along side Leicester SAR and Tewksbury Station. Missing person located safe and well by police. Wyre Forest crew stood down at 6:00pm. Land crew from Wyre Forest were called to Sedgley in the Black Country for a high risk missing person search, working along side Staffordshire SAR and Tewksbury Station. Police stood Wyre Forest crew down at 9:30pm. Land crew from Wyre Forest were called to Birmingham for a high risk missing person search, working along side our search dog 'Dyno'. Wyre Forest crew stood down at 4:30pm. Crews from Wyre Forest were called to Worcester for a missing person search. Crew undertook a bank search and provided underwater camera capability to support the police and fire service. Wyre Forest crew stood down at 9:00pm. Crews from Wyre Forest provided underwater camera capability to ensure no occupants in the vehicle, once completed our 4x4's winched the vehicle onto the bank for recovery. Wyre Forest crew stood down at 7:30pm. Crews from Wyre Forest were requested to undertake a land search in Saltwells. Wyre Forest crew stood down en route at 2:45pm. Crews from Wyre Forest were requested to support WMSAR in a multi-agency search for a young person. Wyre Forest crew stood down as they arrived to the RV point as the missing person was located safe and well at 11:15pm. Crews requested to support Beachley and Tewksbury stations in a high risk misper search. Wyre Forest crew stood down en route as no longer required. Land search crews requested to support Tewksbury station in a high risk misper search. Misssing person located safe and well by Gloucestershire Police. Wyre Forest crew stood down at 11:56pm. Land search crews requested to support Tewksbury station in a high risk misper search. Misssing person located by Wyre Forest team and treated for injuries. Wyre Forest crew stood down at 7:15pm following a successful search. Search crews requested by West Mecia Police to conduct a search of the river. Nothing found and Wyre Forest crew stood down at 5:00pm following the search. Land search crews requested by West Midlands Police to conduct a bank search of the River Stour. Nothing found and Wyre Forest crew stood down at 4:30pm following the search. Boat search crews requested by Police to conduct a bank search of the River Severn south of Stourport. Nothing found and Wyre Forest crew stood down at 5:00pm following the search. Land search crews requested to support Beachley and Tewksbury Stations for the missing person search. Casualty was located and recovered and Wyre Forest crew stood down at 10:30pm. Boat crews undertook a search for West Mercia Police along River Severn in Stourport. The banks were searched by our search dog 'Dyno'. Crew were stood down at 5:30pm following the search.